High quality publications and public relations will enhance a congregation's overall ministry by promoting strong stewardship, effective evangelism, and exciting parish education. Getting the Word Out provides all the tools congregations need to create attention-grabbing, informative, and inspiring communications. 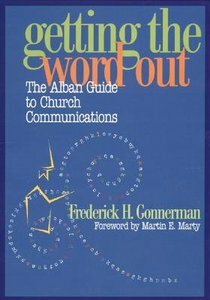 Frederick H. Gonnerman shows readers how to assess their audience and the competition for the audience's attention; identify a publication's purpose; and create useful, readable, and attractive publications-whether print or online, for the congregation or a broader community. About "Getting the Word Out"